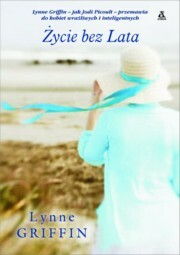 Lynne Griffin is a nationally recognized expert on family life and the author of the family-focused novels Girl Sent Away, Sea Escape, and Life Without Summer. She's also the author of the parenting guides Let's Talk About It: Adolescent Mental Health and Negotiation Generation. Lynne is available to speak to parents, teachers and healthcare providers about social-emotional learning, adolescent mental health, addiction, and behavior management. Contact her at Events [at] LynneGriffin [dot] [com].